For most women, morning sickness is one of the toughest symptoms during the first 11 weeks of pregnancy. 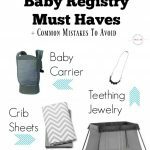 While the queasiness and vomiting are likely to disappear by the time you reach your second trimester, you’re likely to be desperate for relief for weeks on end. 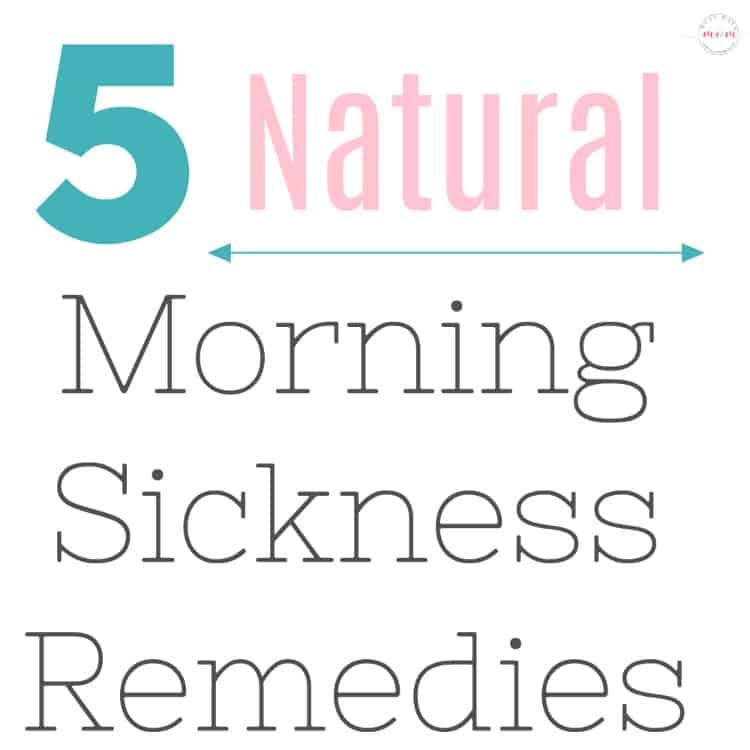 That’s where gentle, natural morning sickness remedies come in. Here are five worth trying. Many morning sickness remedies involve eating and/or drinking. What if you can’t keep anything down? You may want to look for a qualified acupuncture practitioner. A study conducted by Sweden’s University Hospital proved that 90% of test subjects obtained relief from morning sickness symptoms with acupuncture. The same study showed that acupressure (similar to acupuncture but without the needles) had a positive outcome, too. Ginger is a well-known folk remedy for nausea – and according to a study reported by the University of Maryland Medical Center, the herb can also bring some relief from morning sickness. Women who took a 1-gram dose of ginger daily for four days enjoyed some relief from their symptoms. 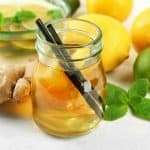 There are a few ways to use this spicy-sweet herb for morning sickness: you can try eating crystallized ginger, using fresh ginger in tea (try my ginger tea recipe), or taking a simple capsule filled with powdered ginger. Even drinking ginger ale may help – just be sure that you choose a brand made with real ginger. Love the scent of lemon? As it turns out, this delightful fragrance might help alleviate your morning sickness symptoms. A clinical trial tested 100 pregnant women who were suffering from nausea and vomiting. 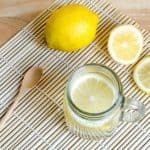 The results were significant: those who diffused a drop or two of lemon essential oil in their bedrooms obtained relief. Peppermint and lavender essential oils were tested and found somewhat effective, as well. If nausea and vomiting are accompanied by heartburn, then you may want to give fennel tea a try. This ayurvedic remedy soothes your stomach, addressing all three morning sickness symptoms at the same time. You can either purchase a pre-made fennel tea, or simply add a teaspoon or two of freshly crushed fennel seeds to a cup of boiling water and allow the blend to steep for about 10 minutes. If you like, you can flavor your tea with lemon and honey. Peppermint is a fantastic remedy for morning sickness; you can drink peppermint tea, diffuse peppermint essential oil, or enjoy peppermint candy as a preventative. If you have heartburn, you may want to choose a different remedy; though peppermint works well for nausea and vomiting, it can sometimes make heartburn worse. Avoiding triggers such as unpleasant smells and nausea-inducing foods can help prevent morning sickness, and so can cutting out iron supplements if your doctor agrees. Remember to follow the common-sense advice of keeping a little bit of food in your stomach by eating small meals frequently if you can, and be sure to see your doctor if natural remedies don’t bring some relief. He or she may be able to provide you with something stronger.